Easy Pumpkin Bars made with cream cheese frosting that everyone will devour. 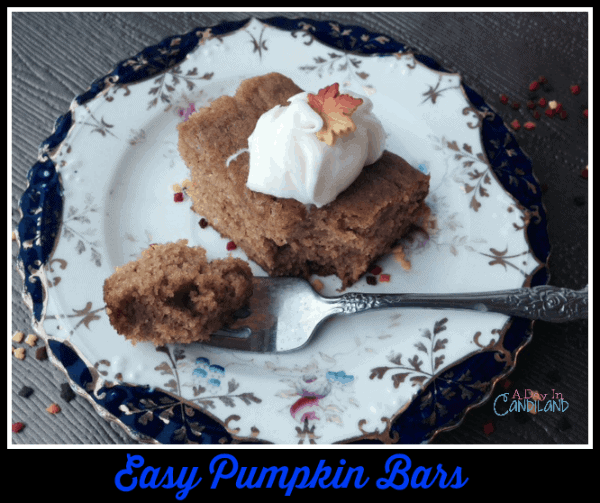 It’s the season of pumpkin and I am sure I could fit in one more recipe for easy pumpkin bars with cream cheese frosting. I love all the pumpkin recipes so far and I can’t say that this will be the last. Yesterday I made my Lemon bars and these pumpkin bars to take to a family get together. They were so easy and really only had two steps to make them. I like those kinds of recipes when you are in the busy holiday season and trying to tackle so many things. I had planned to make a couple of pies, but time just did not allow. Since the kids are off this week, they wanted to go here and there and since we were traveling for the holidays, I decided not to stress about it and just enjoy what I did get done. A delicious made from scratch pumpkin bar recipe with cream cheese frosting. It is decadent and oh so good. In an electric mixer mix eggs, oil, sugar, pumpkin, until light and fluffy. In a separate bowl, mix flour, baking powder, salt, baking soda, cinnamon. Mix, cream cheese and butter in electric mixer, add sugar and vanilla. Spread Frosting on top and cut into bars. These pumpkin bars can be made a little thinner by using a slightly larger pan. You can also add a little cinnamon in the frosting to give it a little more spice. It is a light and airy cake, it’s so good. 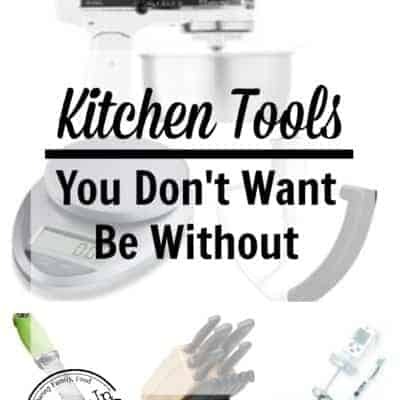 Sign up below to receive these recipes right in your inbox each week and get a FREE baking substitution chart printable. On another fun note, I am being featured on a Misadventures with Andi today. Stop by and take look. 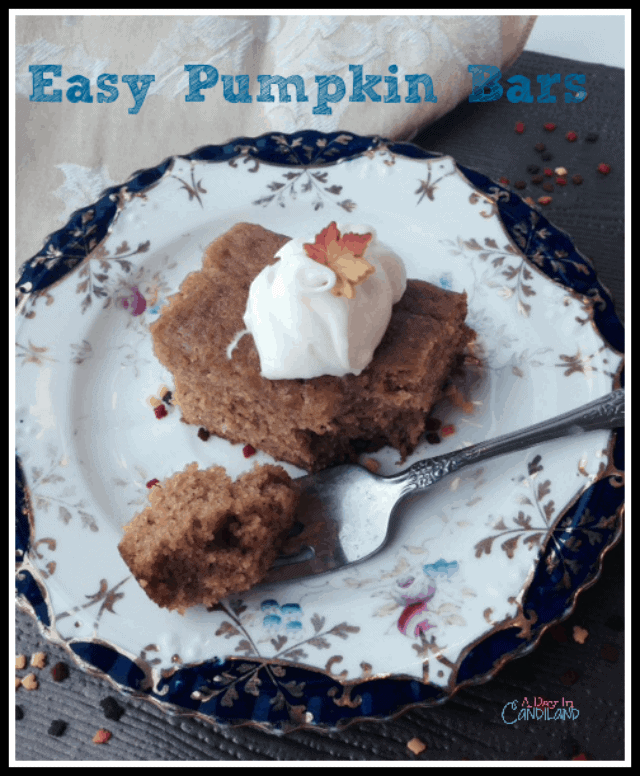 Easy Pumpkin Bars made from scratch with Cream Cheese Frosting You can make in under 45 minutes. Oh, my! This looks delicious! 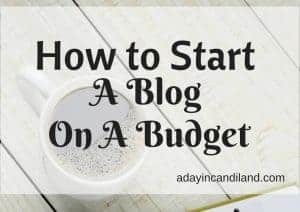 I love how easy it is. A friend of ours gave us a pumpkin roll at Thanksgiving that would take too much time for me to make. I bet the cream cheese makes it so moist. 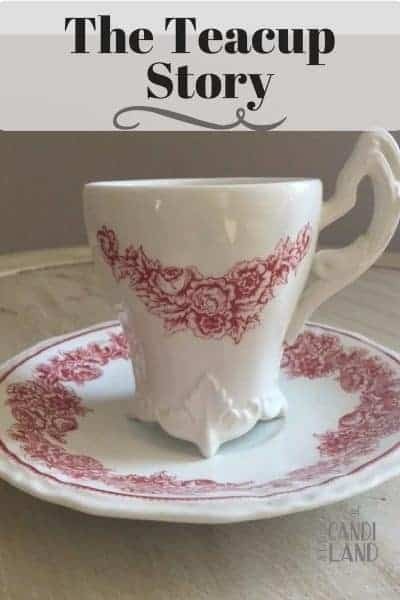 Gotta make this! They do look really yummy, especially with that frosting on the top! These look so easy to make AND so yummy! sounds delicious– can’t wait to try! 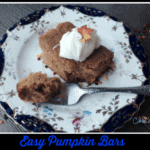 Oh I love pumpkin and these bars are so perfect for this time of year. letter with your resume. Organize a contest and offer a prize to the contestant who gets the most votes. take a risk by going with a more innovative perk. All studios have reported now and only global cumes to come. this line actually made me say, “awesome.